Hello, my name is Peggy McAloon. 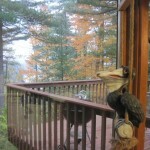 I’m an author, watercolor artist, retired Commercial Credit trainer, speaker, and conservationist. However, my greatest joy in life is my role as wife, mother, grandmother, and caregiver to a rescue dog and a new puppy. Today, my life is filled with hope. Join me, as I share that with you. 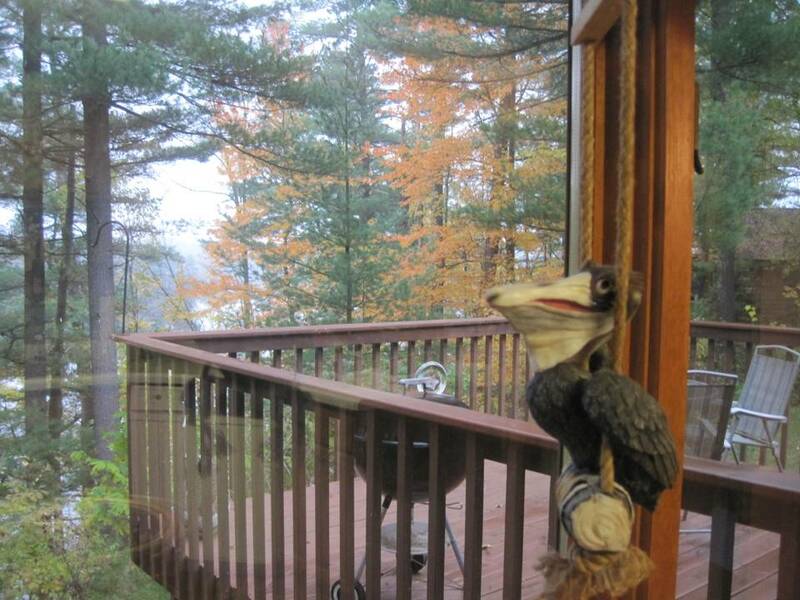 Sitting at my desk, looking out at the pines, I’m writing. 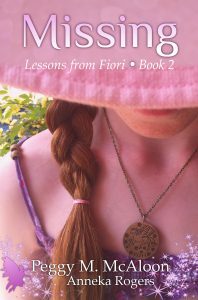 I’m working on the third book in the “Lessons from Fiori” series and a mystery about a young reporter living in a lake cottage in Minnesota. The concept for the new book came to me in the 1980’s. I wanted to talk to Patty Wetterling to ask her if I could highlight Jacob’s disappearance. She is so gracious and gave me permission to mention him in my novel. I shed tears we all heard Jacob finally came home. Unfortunately, it’s not the outcome we had prayed for. But, a mother was able to bury her son and bring him back to a place where she can visit and talk to him. Elle Burton and the Reflective Portals and Missing are both available in Ebook, paperback, and Audible. Like most authors, I had one simple goal in mind when I wrote the “Lessons from Fiori” series. My goal is always to inspire kids to be kind, a lesson taught by my grandfather. You have to agree on how important it is to empower children to stand up to bullying and abuse. I suffered both as a child and remember what it’s like to feel hopeless in a world you can’t control. A traumatic brain injury in the 1970’s taught me about the absolute terror of living in a world that offers no hope. I have abandoned my earlier website, http://peggymcaloon.com to bring you this new one. The first blog started out as a parenting site on the tougher issues of parenting kids who are hurting or in trouble. My readers made it quite clear there are very limited resources which offer the “Hope” that is so critical to our survival and success. Especially when faced with the social injustices children struggle to overcome. The first two books in this series have both been awarded 5-Star ratings by Readers’ Favorite. 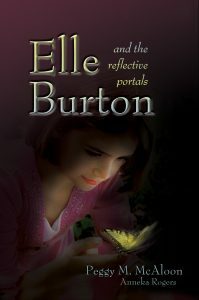 I wrote Elle Burton and the Reflective Portals and Missing for kids 9+. One of the benefits of being an author is hearing from your fans. I’ve heard from many women abused as children, who have read the first book in this series and commented to me they found healing in Elle’s story. My intention to give hope to kids somehow created a book Moms and Grandma’s love too. I’m delighted so many moms have found healing in my words from their childhood traumas. Cosmo’s story gives hope to kids everywhere. 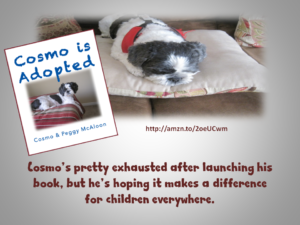 I never intended to publish the story of Cosmo, our little rescue dog. I wrote the story trying to touch the hearts of my newly adopted grandchildren. Their struggles with foster homes, loss, and fear are not all that different from the challenges Cosmo endured after his beloved owner died. Cosmo was first sent to the pound, then a shelter picked him up and finally they moved him across the state to his new forever home. Like my grandchildren, he’d lost everything. I wrote the story in Powerpoint, using all the pictures we’d taken of Cosmo and his journey to belonging again and emailed it to my daughter-in-law. She shared the story with the children. My grandson jumped up when the story ended and ran around the room, chanting, “Cosmo is Adopted!” over and over again. My granddaughter immediately went back to read the story again. Their parents urged me to consider publishing it to help all the kids in the foster system. I began by contacting Catherine Gruener in Chicago. She agreed to read the story and write discussion questions parents/adults could use to open feelings communications with kids all over the country. I’m proud of the result and if he could talk, I’m certain Cosmo would be delighted in the last copy. As a writer, it’s always been about helping kids like I was once…kids too afraid to find the help they so desperately need. I am very sad to share that Cosmo left us just before Christmas, 2018. He was a loving and wonderful companion. I find comfort in knowing he’s reunited with his original owner and is happy and home once again. I still struggle with the traumatic brain injury. The doctors told me I would never work again. I believed them for five long years. They stole every ounce of hope I’d ever had from me. When I became suicidal, I also became angry. I decided to stop listening to the experts and find a way to regain my life so I could raise my two little boys. It became a goal to create my hope in the shadow of everyone’s lack of faith in me. Daily, I begged for a higher power who might be able to direct my recovery. I talk about my recovery in one of my blog posts. So, today I travel, write, paint, and enjoy life. I retired from a lucrative position in the field of commercial credit. Now it’s time for me to share the hope and courage it took me to make it through every bump in this road we call life. Walk with me on the path to renewed hope and lasting success! Welcome to Peggy McAloon’s Hopeful World. Hope is critical to our success in life. My life has been a progression of both challenges and successes. I will not tell you the path has been easy. It was often extremely painful. 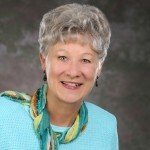 At times, the author you all call Peggy McAloon, wanted to give up and stop trying. Have you ever felt that way? This website is devoted to those of you who have stumbled like me along life’s path. There are no absolute or perfect answers to anything. The best we can do in this life is to believe in ourselves. It’s critical for us to share the inspiration we find in the hope it will help others. There were never any grandiose goals in my life. Mother demanded that our lives revolve around the activities at church. Religion was not just a primary activity for our family. It was a way of life. Faith provided a solid foundation of faith and hope as I endured childhood abuse. I loved to sit in our family pew at church and gaze up at the intricately stained glass windows that adorned the sanctuary. The glow of the morning sun through those windows glazed the congregation with streams of vibrant color. The colorful scene filled my very essence with assurances that the light would always shine down and protect me. As I grew and began to study the history of the world, I decided I wanted to travel someday to view some of the grand cathedrals of the world. The magic of the Sistine Chapel and the works of Michelangelo and Raphael overwhelmed my senses as I gazed at the pictures in our history books. 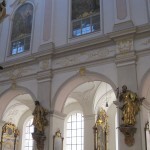 I dreamed of personally experiencing the wonders of the finest buildings ever erected to worship God. There was never a time I didn’t believe in Guardian Angels. I experienced miracles of faith. On a daily basis, I lived with the hope the dream would someday come true. That dream brings me to this day. 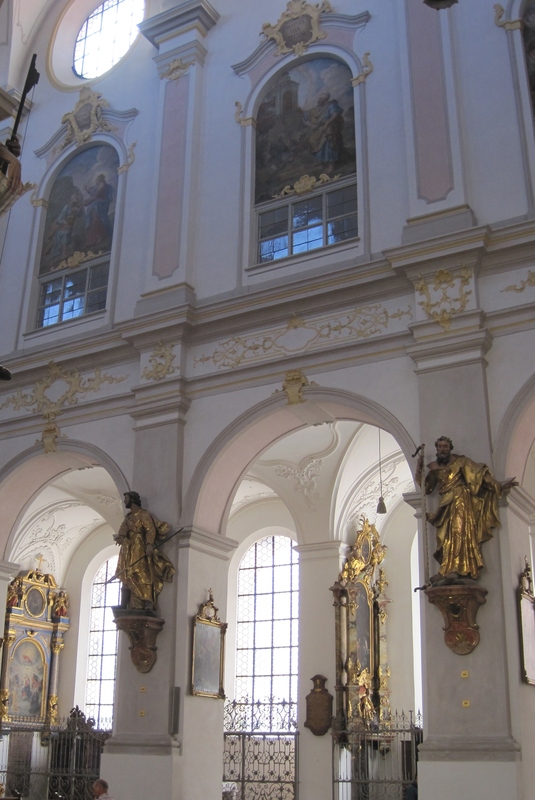 Looking to the north, I am standing in one of the most awe-inspiring cathedrals ever created. I can feel God in the very core of my soul, as I stand and drink in the colors. It is inconceivable that a mere mortal could ever create the colors in stained glass that bombard my senses here. There are greens so dark they very nearly dissolve into black at their core. Those incredibly dark greens filter into soft yellow tones as I gaze through the window. 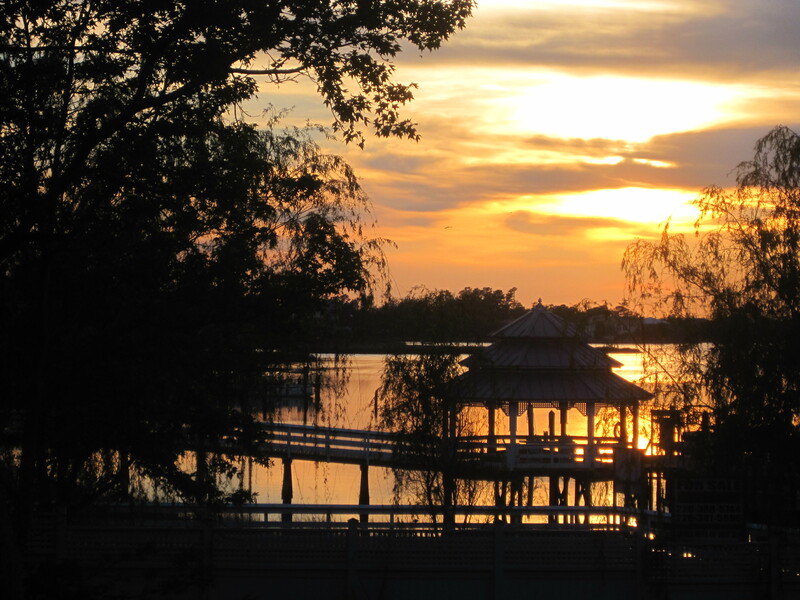 Every imaginable hue of yellow ochre and orange pigments glows in the rays of the rising sun. The horizon itself is ablaze with a crimson color so brilliant I’m forced to avert my eyes. It’s impossible to describe the array of colors etched across my field of vision. 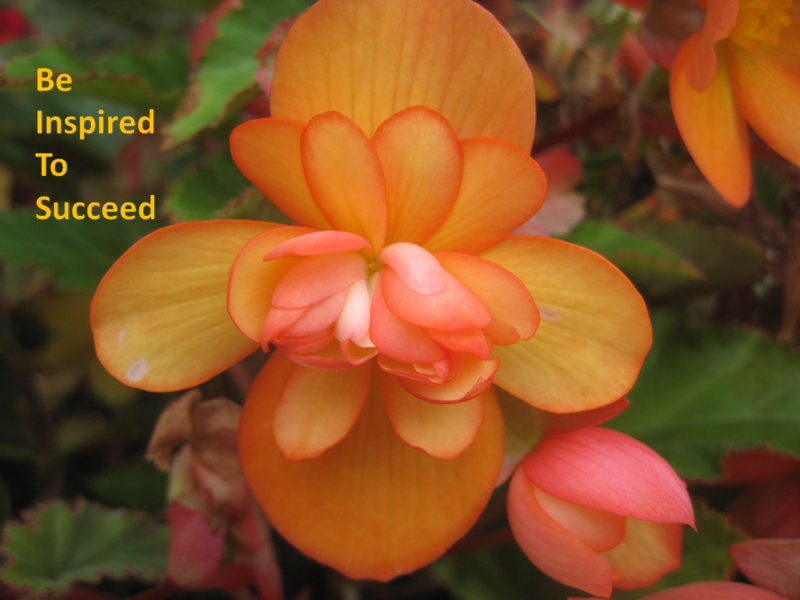 The hope of a brand new day that will bring me closer to my dreams is fresh and vibrant in my new awakening. I am humbled as I realize that I have achieved one of my greatest dreams in life. The travel brochures I read made me believe my journey would start in Rome. I now suddenly understand that I just needed to open my mind and heart to my surroundings. The ultimate moment of goal achievement is here today, on the shores of a Wisconsin lake in God’s resplendent Cathedral of Nature. It’s bewildering to me that I have never understood before this moment that the most spectacular of the houses of worship would be in the very landscape the Creator placed for me to discover. Perhaps being older isn’t such a bad thing. I’ve grown through the years and have come to respect so many things I took for granted throughout my life. Fall in Wisconsin is an astounding spectacle of changing hues. The transmutation of colors in the maple, birch, and oak trees explode against a backdrop of stately pines and limestone cliffs. A rising sun provides another rich palette of crimson and gold, which reflects from the dancing surface of the quiet waves. Brilliance and beauty shimmer across the surface of the lake. It’s at this moment I hear the first shot. I feel as if I have been catapulted from my serene worship of creation into the confusion of man’s innate ability to change the very essence of the air that I breathe. The distant honking grows louder as I stare at the bay. Once again, I know as I watch the first Canadian goose emerge high above the treetops on the opposite shore that I will begin counting the birds. 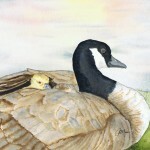 One of my early watercolors of a Canadian Goose and her baby. 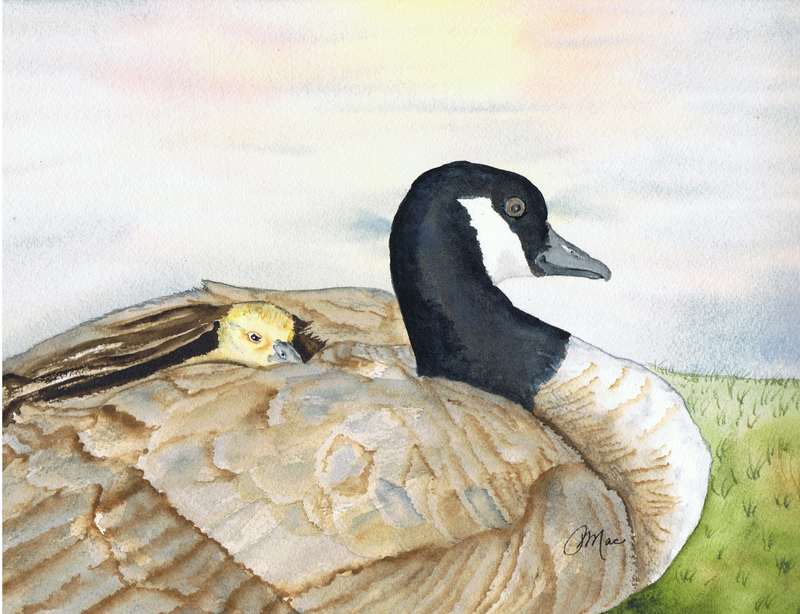 Peggy McAloon learned as a small child that geese mate forever. Unlike man, they choose only one mate for a lifetime. Yet again, as I view the V-shaped formation of birds over my rooftop, I count 15 birds. I’m convinced the hunter has taken down one of the group, leaving one bird alone and one goose down near the river opening. How many times in life do we feel like the solitary goose? Can You remember the times you feel so utterly alone you don’t know where to find the strength to get through the next few minutes? I’ve always counted the geese as they make their migratory way north in the spring and back south in the fall. Somehow I understand that the formations in liquid flight will contain an unequal number of birds. Each time I count the birds, a part of my soul weeps for the solitary bird flying just slightly behind and off a perfect V-shaped flight formation. I can identify with the bird that flies alone because it is how I have felt so often during my life. It’s devastating to feel that kind of total alienation from love and comfort. 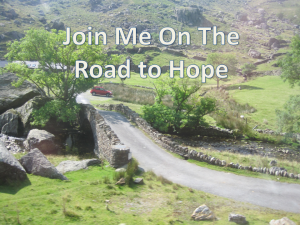 My goal is to help you walk the path of life with renewed hope. No one should ever feel abandoned. The real message here is that others have walked a path very similar to yours. We aren’t alone on this journey. It’s possible to find hope and courage in each other’s stories. 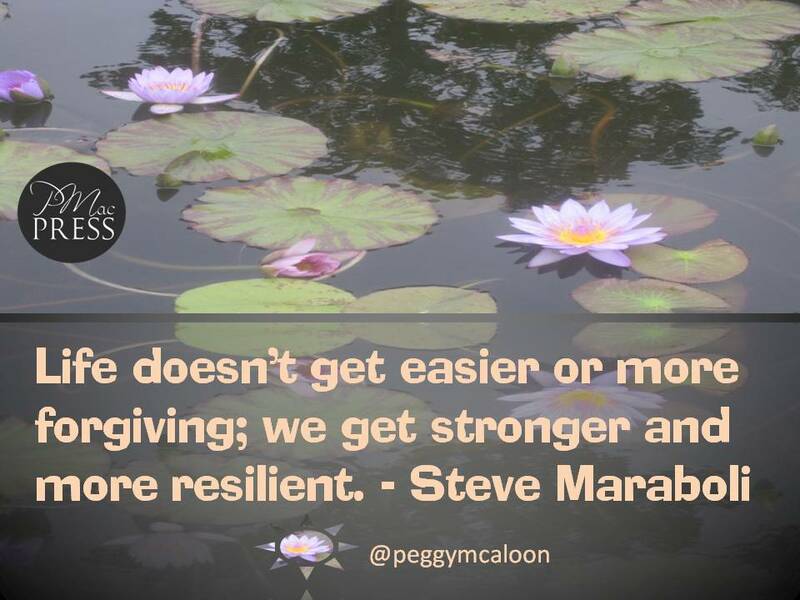 My goal is to bring you to the Peggy McAloon website anytime you feel hopeless. Join me when you need some encouragement and inspiration. 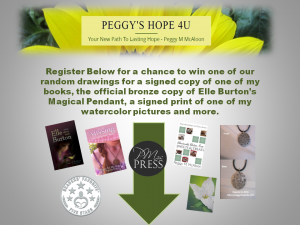 Peggy McAloon invites you to join her on the road to hope. One thing is undeniable: Peggy McAloon continues as a work in progress, driven by love, faith, and the constant inspiration of family and friends. Welcome to Peggy’s Hope 4U. We’re glad you’re here and look forward to hearing what you have to say about finding hope in the face of abuse, bullying, disability, and loss—the topics we write about every week. We encourage and foster comments, the essence of interactive blogging. On Peggy’s Hope 4U, the voice of the readers—you—is a vital part of the discussion and education that goes on here. If you’d like to comment—and I hope you do—please take a moment to familiarize yourself with our guidelines. —The Peggy’s Hope 4U editorial team reserves the right to edit or delete comments as we see fit, without explanation. Certain comments may not be posted or may be deleted after they are posted. —For any comment, we reserve the right to edit, delete, move, or mark it as spam. We also reserve the right to block any IP address that violates our comment policy from commenting, subscribing, or accessing The Book Designer. —If we receive notice that a comment violates someone’s copyrighted information, the comment will be deleted and the commenter may be blocked from posting comments in the future. Grandmother used to say that all the time Mary. She was quickest to say those words when she saw me trying to do something again when I had failed the first time. I find it nearly miraculous how the tiny bits of encouragement and hope we were given as small children constantly rise up in our conscious minds when the road becomes rocky. Every child needs someone like you and grandma to urge them on to success! Hope does spring eternal as it has for generations. What a neat site. I love it! Thank you, Gail. I’ve been working so hard with Christina Hills and her Website Creation Workshop. I tired of having someone else control the site and charge me for every little change made. It’s a great way to make money for those who do it though. I prefer to control my own site and feel fairly positive about all I’ve learned so far. At least as good as the professional site – and having control is so so important. Thanks, Wendy. It was a long process as I started taking the class, life happened, and I’m finally getting back to it. It’s definitely been a journey! Your site is wonderful, I will be joining you regularly on this journey…..Love what I am reading and seeing! HOPE is such a beautiful thing. I quite agree, Annetta! This journey I’m on has required multiple reaffirmations of both faith and hope. I’m convinced the world contains an infinite storehouse of both if we only recognize it. Thank-you for your deeply moving posts. My dreams and efforts to get my site moving have been seriously challenged over the past weeks. I am so close to giving up on the dreams I started out with when I joined the WCW with CH. It feels as if I think I understand a concept… the one tiny error and the whole thing is back to mass comfusion in my mind. I simply can not let my blood pressure go out of control again. I served with Witness for Peace in Colombia, South America about ten years ago. I can not get the images of the displaced people out of my mind. On returning home my dream was to build a site where i might accomplish a two-fold goal. I thought as a therapist I could offer workshops/ecourses. With some of the money raised I could then help build a school for displaced families. Fast forward to now. I simply can not separate the “hype” from the reality of what it will take to get a “real blog/site that can be used to find my dream. It seem that one set of training only leads to the need for more training. I talked to my husband (who shares my dream) about selling our house and donating the money to our dream. We would live our final years in poverty but we could give some of the families a chance at meeting basic necessities. Sorry this has gotten so long. It has been a tough day. The people at WCW have reached out but I don’t think they can understand my situation. Your words held hope that another person could understand my pain. Your dedication to the people of Colombia is extraordinary. I am so proud of you for dedicating yourself to make a difference for so many who do not enjoy the same advantages we have. Take the time to sit back and look at what you really want to accomplish. Everyone wants to create something magical when they build a website, but simple can accomplish just as much as something with dozens of bells and whistles. Your goal is worthy of taking a deep breath and sitting back to look at what you truly want to accomplish. I struggle with short-term memory issues from an old brain injury and I know how easy it would be to stop. The thing that keeps me going is the lesson my grandfather taught me of the “I Can.” https://peggyshope4u.com/grandfathers-hope-can/ This is what I remember when I want to give up. Time and time again, the heaviest challenges in this life have lifted me up to enjoy incredible advances in both my personal life and in my career. If you can help even one person get an education in Colombia, you will have achieved something most people will never experience. Go simple with the website and get it up. Your passion for these people needs to be shared with the world. Bring those people’s stories alive in the hearts of everyone who finds your website. Go back to the site and create a simple one-page blog. Tell the stories and set up a paypal.me site that you give at the end of each post so others can make donations to help make your dreams come true. I know You Can do it! Between the two of us, we have enough hope to help the kids who need us the most. Thank you for following, Sharon. Love these pages, Peggy. Okay if I share the link on Facebook, etc., so others can experience your beautiful brand of hope, too? I would love it, Loree Lough! Thank you so much! I really enjoyed what I have read on your blog. (found it thru “You must be from Keota..”). I sat next to you in band for probably 4 years. and though 2 years younger, you always were so friendly to me. Probably. like most people in school, I had no idea that you were abused or mistreated. Thank God, your faith has helped you be a survivor. I will keep coming back to your blog. By the way, you haven’t changed a bit except your hair color. You’re still beautiful. Of course, I remember you, Barb! I don’t know about the beautiful part, but the hair has become quite gray at this point. Thank you for your kind words, and I shall look forward to seeing you here again!! Have a safe and wonderful fall season! can make your site mobile friendly? My blog looks weird when viewing from my apple iphone. When you have any suggestions, please share. Thanks! Hello There. I found your blog using msn. This is a really well written article. 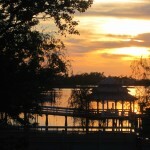 I鎶 make sure to bookmark it and return to read more of your useful info. Thanks for the post. I will definitely return. What a lovely website, Peggy. When you mentioned it, I thought I’d come on over and take a look. I’ll share a link to this on my Facebook page. How wonderful that you’ve overcome such difficulties. Thank you for stopping by, Loretta! I love my visitors from across the pond! It’s a joy to see other authors visiting my site. I loved your book “Out of Time” and I’m betting my followers will too! 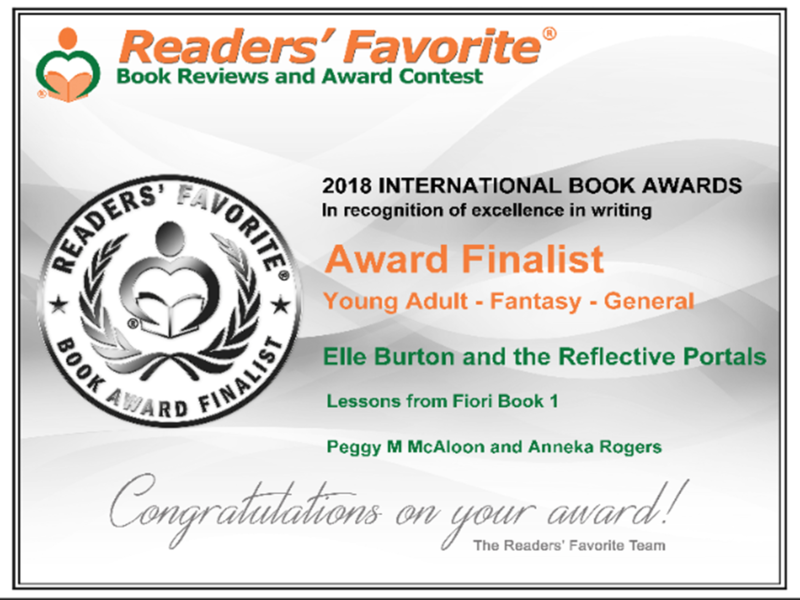 "Elle Burton and the Reflective Portals" was a finalist in the 2018 Readers' Favorite International Book Awards.